About S & J Exco, Inc. In operation since 1958, S & J Exco, Inc. is an environmentally conscious wood waste recycling and scrap metal recycling facility. Wood waste, as you may know, is a growing concern worldwide due to the closure of landfills. We accept wood waste, such as fence, pallets, pressure treated and painted wood, railroad ties, and sheet rock. We also accept stumps, brush, logs, grass and leaves. We process all of this material into finished landscape products such as mulches, compost, loam, and potting soils. In addition, we are a wholesale / retail Cape Cod landscape supply yard with delivery capabilities to meet all needs from homeowners to large landscape and/or construction sites. We stock and deliver landscape products such as bark mulches, wood mulches, stone, gravel, screened and masonry sands, fill, loam, shells, cow manure, compost, and potting soils. In addition to the above, we also perform wood grinding services on and off-site, land clearing, and excavation of all types. We grind wood waste for municipalities as well as for the private sector, such as large construction sites, road sites, and developments. 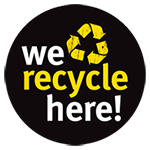 Furthermore, our grinding service recycles and reduces the waste stream throughout the State of Massachusetts, relieving the burden from the landfills and municipalities, which is a growing environmental concern worldwide. usable, pliable products for consumers - recycling as much as we all can to help our environment survive through these troubled times. 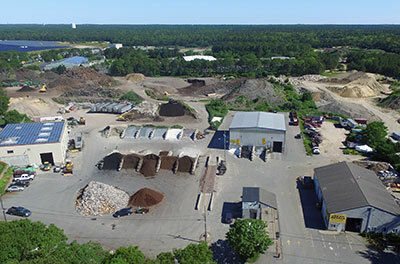 We do hauling of bulk commodities such as demolition materials, bark mulch, firewood, stumps, wood chips, stone, sand, shells, loam, compost, potting soil, and plant mix for local and out-of-state companies and municipalities throughout New England.